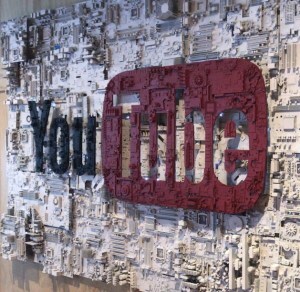 YouTube announced more news on the same day that will assist advertisers. Companies will be able to tailor advertising content based on people’s personalised recommendations. "Just like it's this engaging place for users, we think it can be a great place for advertisers to connect with them," Mahon added. YouTube’s focus on mobile devices comes with the continued growth of other platforms such as Instagram and Facebook who this year have already birthed IGTV and Facebook Watch, both strong challengers to what YouTube has to offer. YouTube is introducing a new vertical ad format to its platform, the company has revealed at digital marketing conference Dmexco. Advertisers can now move from the landscape option and design ads that will appear vertically on mobile devices taking up majority of the screen. The new feature follows an update to the YouTube app in December last year which automatically adapted content to vertical videos to get rid of black bars. Hyundai is one of the few brands to experiment with the new format and the ads still function the same as the horizontal videos which if tapped will forward you to the company website. This change in mindset from YouTube comes from motivation from competitors such as Instagram and Snapchat and is understandable as majority of time spent online is accessed on mobile devices. YouTube is finding ways to keep up with competitive apps that only rely on mobile devices and not websites.